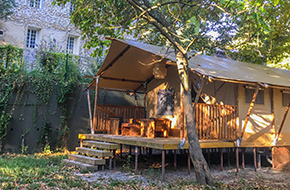 This lodge in wood and canvas frame top of the range with a view of the castle of Suze La Rousse will delight you by combining comfort and luxurious decoration. 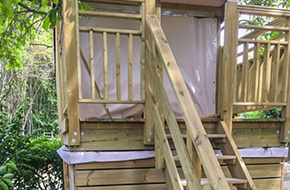 recycled scaffolding, with even a wood stove allowing a small flare off-season. 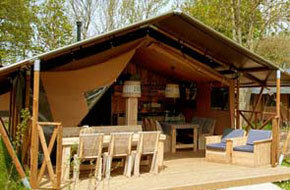 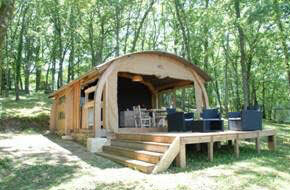 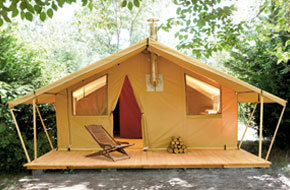 This luxe lodge tent has an interior space of 30m² + 15m² of mezzanine, spacious corners, a dining area, and a kitchen. 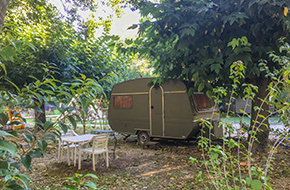 The kitchen, equipped with recycled wood (with fridge, induction hob, sink, microwave oven, coffee maker and electric kettle, crockery), allows you to enjoy the same comfort as a house. 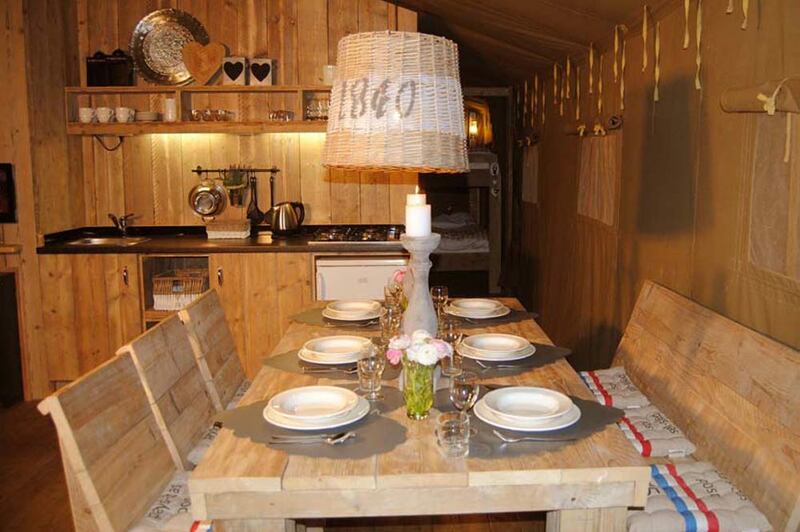 The dining room arranged for 6 people gives you the choice between indoor or outdoor meals according to the season or your wishes. 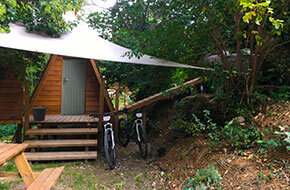 On the sleeping side, a double bedroom (with a 160*200 bed) is hidden on a mezzanine with storage space. 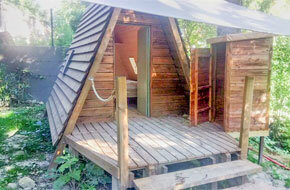 On the ground floor, you will find 4 beds (80*200) in the form of bunk beds and wardrobes/shelves. 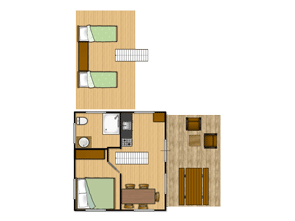 The family and modern bathroom (shower, washbasin, toilet) adjoins the room. 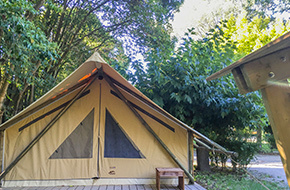 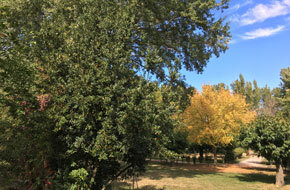 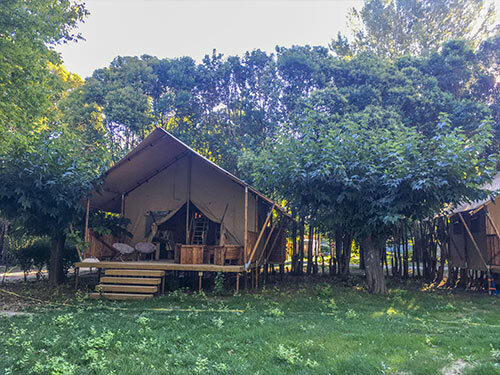 This tent lodge can be rented in duo with the lodge Essential for large families or friends, and thus constitute a vast and private holiday space. 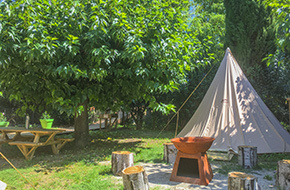 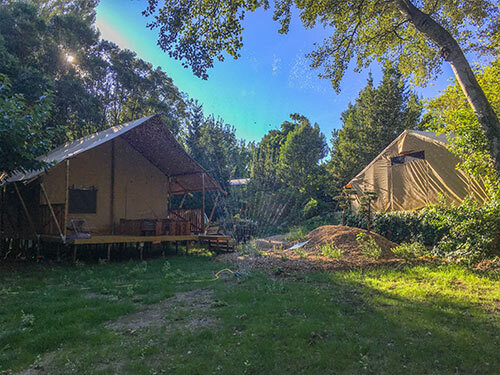 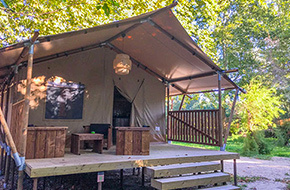 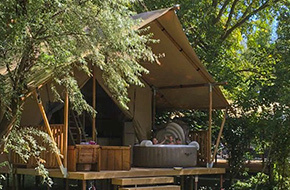 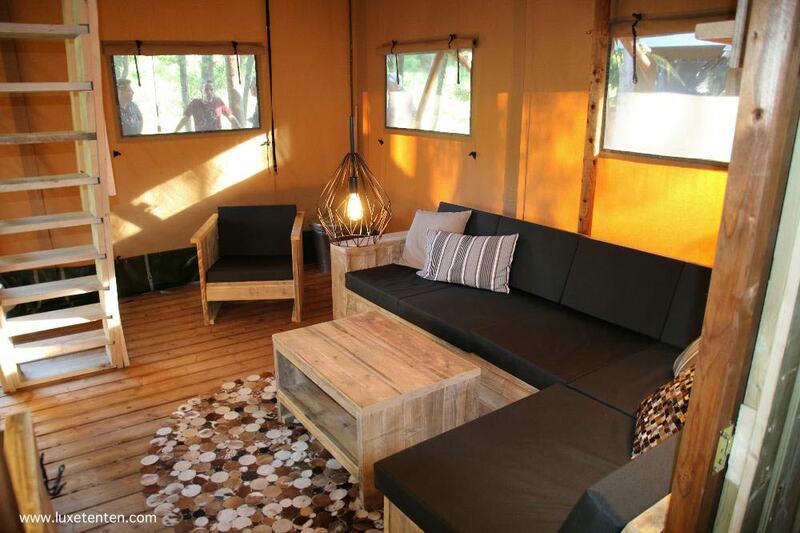 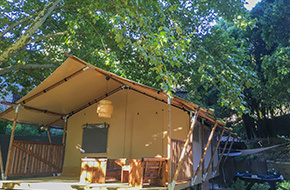 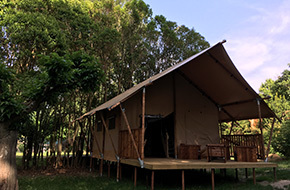 At camping Suze Luxe Nature, we strive to provide comfort and elegance to our guests as part of an eco-responsible approach (landscape integration, eco-design products, short circuits, carefully chosen materials) in constant improvement.